Images from Wikipedia/­Wikimedia and from Geograph are used and licensed for reuse under the Creative Commons Licence. This page uses images which re-size to maintain a constant appearance across all browsers and resolutions. Please allow scripts or ActiveX controls to run if asked. The broad location of Ottery St Catchpole is easy: we're told that it's "on the south coast of England" but there's no mention of the sea being visible from the Weasleys' house and the village is very obviously based on the real town of Ottery St Mary, about five miles from the southern coast of East Devon and ten miles north-east of Exmouth. Ottery St Mary is famous among other things for the November 5th fire festival, during which participants run through the village with burning barrels of tar on their shoulder. We also know that Ottery St Catchpole isn't due west of Little Whinging (which we know to be just south of Slough), because when they fly the flying Ford Anglia from Little Whinging to The Burrow George warns Fred against "driving too far West". Ottery St Mary is about west-south-west from Surrey so it would make sense that the car would fly broadly west, but going too west would land them in Somerset or South Wales instead. Or he may mean that they are in danger of overshooting and winding up in Cornwall. Ottery St Mary is so called because it is built around a very grand 13th church called St Mary's, in the valley of a river called the Otter which rises over the border in Somerset, and flows down to the south coast of Devon. Otter Valley runs pretty-much due north from the sea for about eight miles, between two uplands called East Hill and West Hill, before turning north-east. West Hill appears to be very smooth and rolling; East Hill is smooth on the westward side, facing the valley, but its eastern edge is a complex fringe of sub-hills, promontories and drops. Apart from Ottery St Mary there are many other villages and hamlets on or close to the Otter, including ones called Otterford, which is right up near the source of the Otter, Upottery, Venn Ottery and Otterton: so we can reasonably assume that Ottery St Catchpole is another small village in the Otter Valley, on or close to the river and having a church of St Catchpole in or near it. We also know that Ottery St Catchpole is "on the south coast of England". It's not directly on the shore or that would probably have been mentioned – but it's probably not right up near the source of the Otter, either, as that's fifteen miles inland, in the Blackdown Hills west of Fyfett. [cut] Mr Weasley [cut], Harry, Ron, Hermione and Ginny set off across the dark yard after Fred and George. They trudged down the dark, dank lane towards the village, the silence broken only by their footsteps. The sky lightened very slowly as they made their way through the village, its inky blackness diluting to deepest blue. Harry's hands and feet were freezing. Mr Weasley kept checking his watch. We know that when Harry, Arthur and co. walk from The Burrow to Stoatshead Hill, they see the village in front of them with the hill rising just behind and beyond it. As they walk from The Burrow towards the village, the sunrise is on their right. This was in mid August, when the sun should be rising slightly north of east, so at that point they were heading north or a bit west of north. However, we know that between The Burrow and Ottery St Catchpole the lane goes round a bend, and it's not clear whether the comment about the sunrise being on the right refers to the general direction of their journey from house to village, or whether it refers specifically to the end of the lane nearest The Burrow, before it goes round the bend. 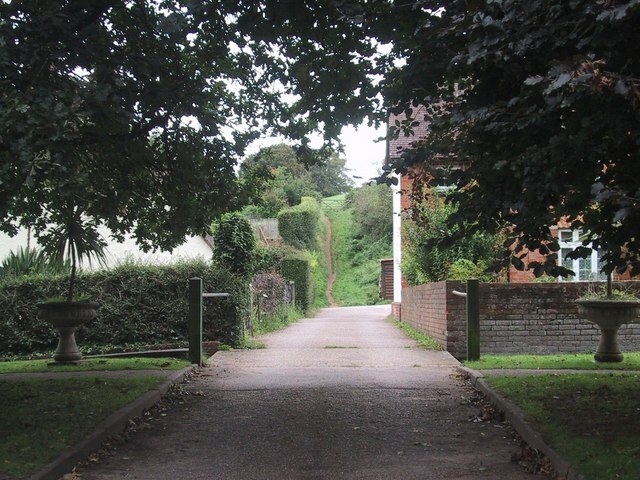 There are two distinct ways of interpreting the position of the village and hill, according to whether or not the sun was on their right for the overall direction of their journey. If the sunrise was on their right as a general feature of their walk towards the village, then to begin with we know Ottery St Catchpole has to be well inland. The shape of the coast in that area is such that the sea-shore has to be either south or east of any given village, but if the sunrise was on their right as they approached the village we know that Ottery St Catchpole is north or north-west of The Burrow, which itself does not seem to be right on the coast: if it was an easy stroll to the beach from the house, you'd expect it to be mentioned. So The Burrow is a bit inland, and the village is further inland still. Stoatshead Hill is obviously quite a large lump of a thing. It would be appealing to assume it's another name for Bulverton Hill, a high steep hill at the east side of the mouth of the Otter which forms a sort of southern, breakaway extension of East Hill (see map slightly further down the page): but if the sunrise was on their right as they approached the village with the hill behind it, then Ottery St Catchpole must be south or south-east of Stoatshead Hill, and if it's south or south-east of Bulverton Hill it would have to be a mile or two away from the river – probably too far to be called Ottery-Anything. 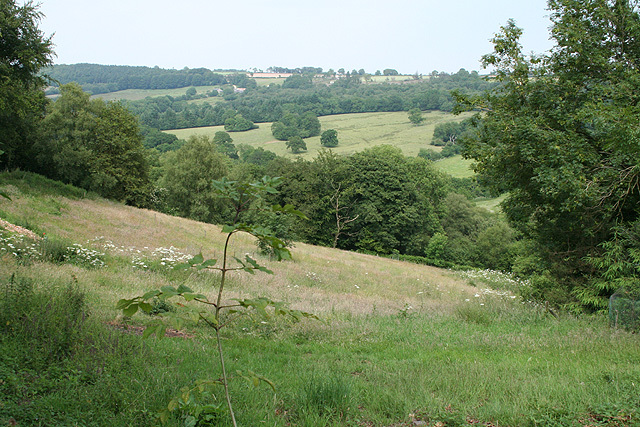 The same objection applies to the lumps and bumps which make up the crumpled east side of East Hill – any village lying south or south-east of them would be too far from the river – and the west side of East Hill, and the whole of West Hill, seem to be smooth swelling uplands: much too smooth to incorporate a great bump like Stoatshead Hill. That leaves two options. Either Ottery St Catchpole is in the south-to-north leg of the valley, between Otterton and Ottery St Mary, and Stoatshead Hill is a purely imaginary lumpy projection above the smooth brow of West Hill; or the village is in the south-west to north-east leg of the Otter upriver from Ottery St Mary, and Stoatshead Hill is one of the many large lumps and bumps on the southern fringe of the Blackdown Hills which lie north of that section of the river, such as Carpenter's Hill above Combe Raleigh. 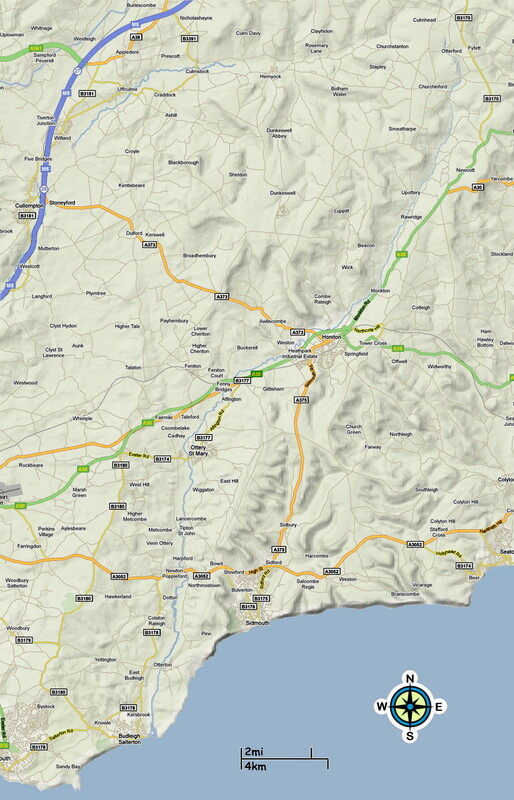 Even if Ottery St Catchpole is in the Combe Raleigh/Honiton area of the Otter, upriver from Ottery St Mary, it will be about eight miles from the sea – just about near enough still to qualify as "on the south coast". Further upriver than that it starts to get doubtful – Upottery is eleven miles from the sea, and Otterford, at the source of the river, is fifteen. Starting from a hill overlooking Ottery St Catchpole, the Trio walk for "a few hours" (so probably at least six miles) through a range of hills with very few habitations, then Apparate to a second group of hills "a few miles further north", where they find the Lovegoods' tower-house. Ron turned his back on The Burrow. 'Let's try up here,' he said, leading the way over the top of the hill. So they Disapparated a few miles further north. If Ottery St Catchpole is in the north-south leg of the Otter Valley, and Stoatshead Hill is an improbably lumpy bit of West Hill, then probably the first group of hills they searched was the northern end of the complex range collectively called East Hill, and perhaps also Broad Down to the east of it, and from there they Apparated to the Blackdown Hills, which begin three miles north of the northern end of East Hill. However, if Ottery St Catchpole is near Honiton, then it – and presumably The Burrow too - would be sited in between East Hill and the Blackdown Hills. It would make no sense for the Trio to search ranges of hills both north and south of The Burrow, because they are going by the fact that Ron's parents pointed at the hills when they spoke of the Lovegoods. The two ranges of hills the Trio search must both be in the direction of that point, relative to The Burrow – and since they move further north, the first range of hills must also have been broadly north of The Burrow. If we are to assume that there is an actual gap of some miles between two groups of hills, this creates problems. The Blackdown Hills are fairly uninhabited (apart from a few scattered hamlets and farmsteads and the village of Dunkeswell, complete with industrial estate and smal airfield, which is bang in the middle of them and which the Trio somehow missed) and they form two groups north and south of the Culm Valley; but those two groups are only about half a mile apart. We must assume that the whole group of the Blackdown Hills, both sides of Culm Valley, constitutes the first range of hills which the Trio searched, and the second range some miles to the north, where they found the Lovegoods' tower house, was either the Quantock or the Brendon Hills. That's starting to get close to the sea on the north side of Somerset, by then – but that narrow neck of south-west England is only about thirty-five miles wide from coast to coast. Note that Ottery St Catchpole probably isn't Honiton itself, because Honiton is quite a large town, not a village. to the middle of the northern – a jump of around five miles. We must assume that the Lovegoods' house is not so far to the north side of the Blackdown Hills as to become embroiled with the M5, which passes along their northern fringe. It's probably in the hills above Clayhidon. If on the other hand we assume that the comment about the sunrise being on the right refers only to the leg of lane nearest to The Burrow, before they come to the bend, then we have far more flexibility. Since we don't know what direction the bend turns in, or how sharply, we can have them heading pretty-much in any direction we like except south or south-east, so we have far more flexibility. It becomes possible to site the village in the seawards leg of the Otter Valley and have Otter Hill be either Bulverton Hill or one of the lumpier bits of East Hill. Much of East Hill is too smooth when seen from the valley side but there's a distinct lump at its southern end, which would place Ottery St Catchpole somewhere near the real village of Tipton St John. In this case, the first group of hills they search would probably be East Hill, and the second group some miles to the north would be the southern half of the Blackdown Hills, with the Lovegoods' tower-house being somewhere above Combe Raleigh. In this case we can assume they didn't notice the village (and industrial estate!) of Dunkeswell in the Blackdown Hills because they didn't go that far north. There is a third solution which I am leaning towards because it fits regardless of whether the sunrise was to their right before or after the bend – so long as you interpret "to their right" to mean broadly rightwards, rather than exactly right. This is that Ottery St Catchpole is the real-life village of Otterton, and Stoatshead Hill is the real-life Anchoring Hill. There is even a real-life area about a mile south of Otterton called The Warren, just about where you'd expect The Burrow to be. Anchoring Hill is not as strikingly large and lowering a hill as Bulverton Hill - only just over 50 metres high to Bulverton Hill's 212 metres - but it makes a distinct bulge immediately north of Otterton, with a very steep path up it, and in any case its fictional twin could be higher. You can get a general impression of the area from this illustrated description of a cycle-ride around Otterton and other neighbouring villages. Again, this would mean that the first range of hills the Trio searched was East Hill (including the detached extension at Bulverton Hill), and the second range was the southern half of the Blackdown Hills. There are a few things against this very neat solution, but they are fairly minor. The first is that it would mean that The Burrow was only about half a mile from the sea, and yet we do not ever hear of the family going down to the beach. But this might be because the beach is shingle, so not very comfortable to sit on, and it's popular with Muggle tourists. 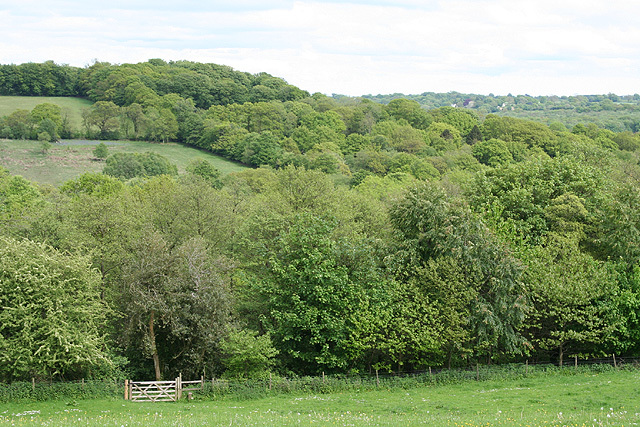 The second is that the nearby hill on which the Weasleys have their paddock would have to be fairly unimpressive. 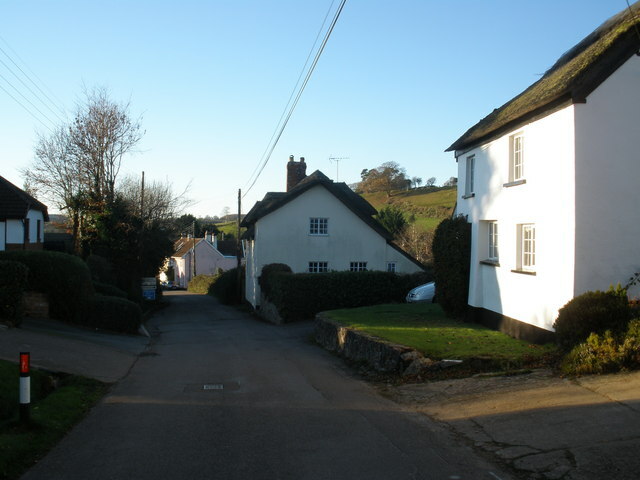 The area around Otterton is pretty flat - there are various other bulges around the same (underwhelming) height as Anchoring Hill but they have such gently-sloping sides as to be barely noticeable. But it could be Catson Hill, just south of Otterton, which is a bulge on the west side of a gentle upland which rises to just over 50 metres; or the bulge between The Warren and Home Down Barn, which goes up to around 60 metres above sea level. The third is that the Trio stand on a hill at the beginning of the group of hills which they are to search, and look down and see The Burrow and the village. They can't be standing on Anchoring (a.k.a. Stoatshead) Hill because it's not part of a range: it's a stand-alone feature. We would have to assume they are just above Pinn on the southern extension of Bulverton Hill, which itself is a slightly detached extension of East Hill. This means that they would be looking at Ottery St Catchpole from a distance of nearly two miles and The Burrow – if indeed it is in the area which in real life is called The Warren – from about three miles. But then we are told that the village looks like a collection of toys, and all they can see of The Burrow is the tall trees around the orchard. 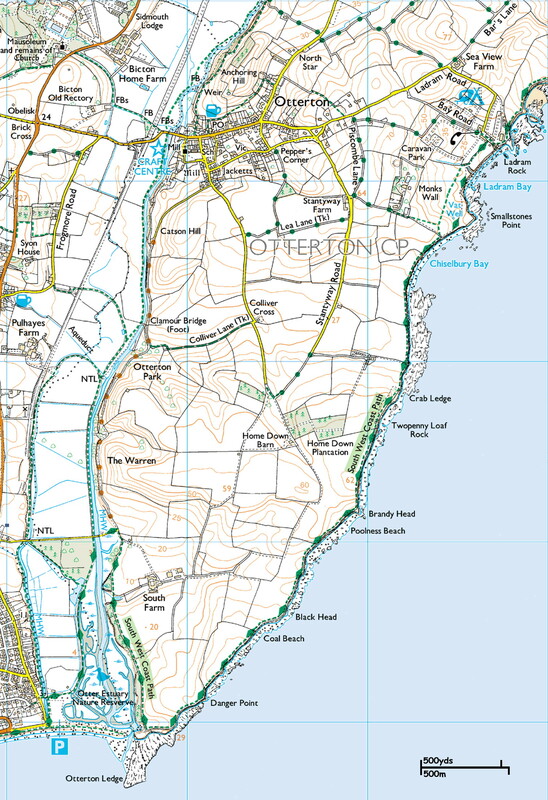 1) Ottery St Catchpole is a fictional name for the real village of Otterton at the southern, coastal end of the Otter. 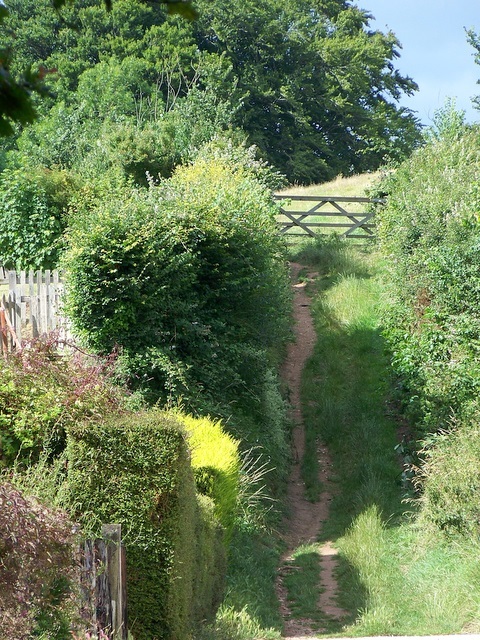 Stoatshead Hill is a souped-up, enlarged version of the real-life Anchoring Hill north of Otterton, and The Burrow is in the real-life area called The Warren about a mile south of Otterton. 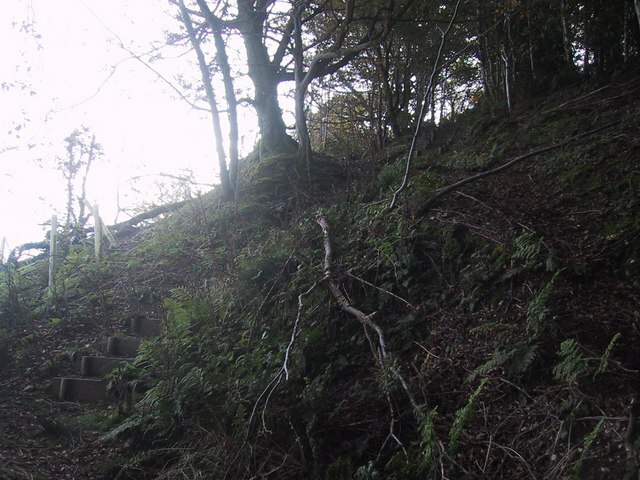 The Trio began their search for the Lovegoods in the range of hills and downs called East Hill, east of the southern part of the Otter, before locating them somewhere in the southern range of the Blackdown Hills. 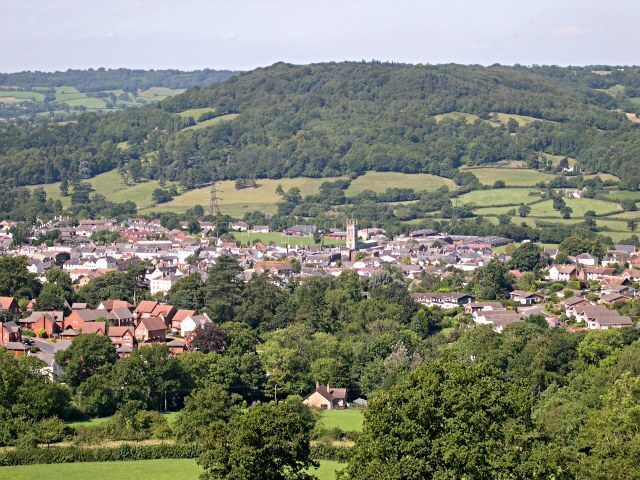 2) Ottery St Catchpole is an entirely fictional village somewhere near Honiton, on the mid-section of the Otter where it runs from north-east to south-west, and Stoatshead Hill is one of the projections along the southern fringe of the Blackdown Hills. 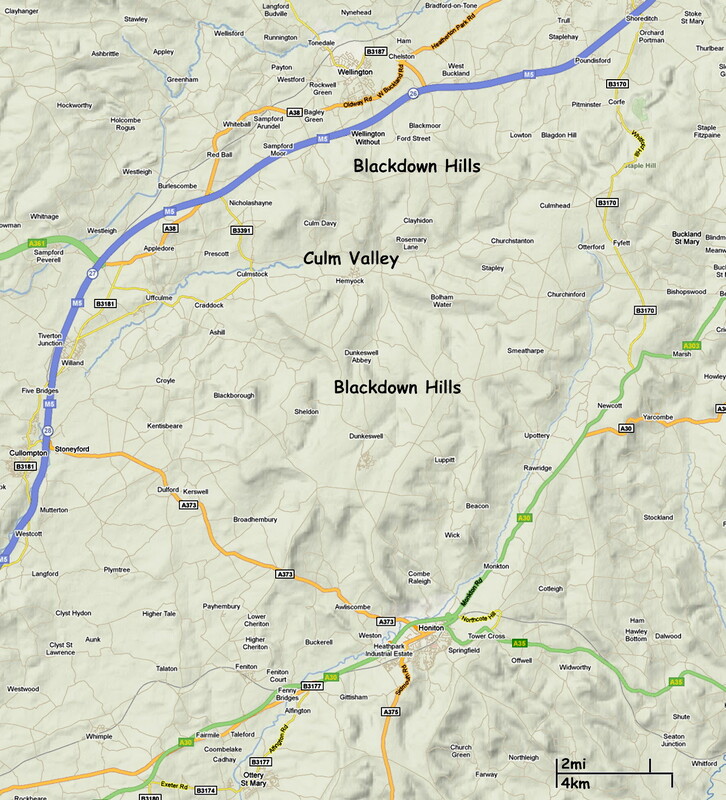 The first range of hills that the Trio searched for the Lovegoods was the southern half of the Blackdown Hills and the second range was the northern half of the Blackdown Hills, north of Culm Valley. Finally, note that there is no place in Britain called Chudley. 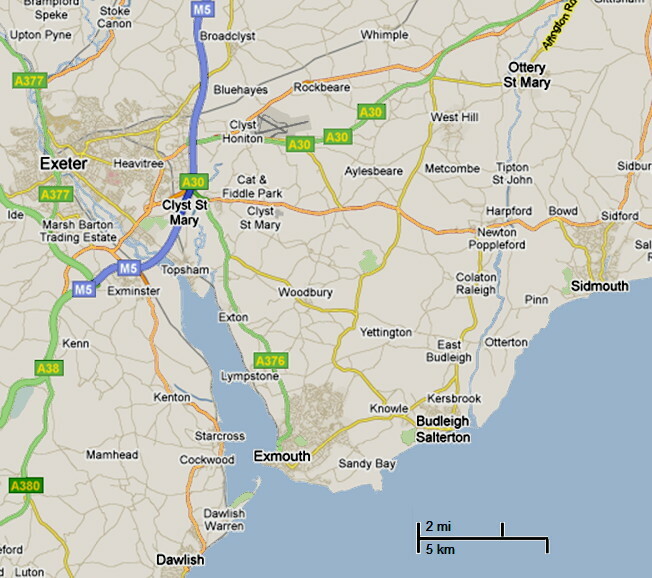 There is however a Chudleigh, which is in Devon and about thirteen miles west sou' west of Otterton. It looks as though JKR's intention, in making Ron a fan of the Chudley Cannons, was to show him supporting his local team, but she had perhaps only ever heard the name of the village spoken, and hadn't seen it spelled.